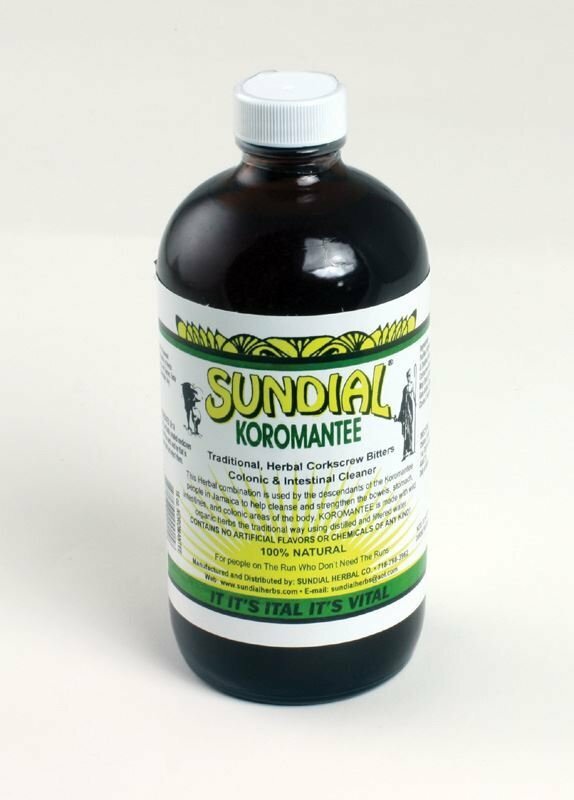 Out of the Ancient Koromantee people of Africa comes, via Jamaica, a herbal blend presented as SUNDIAL Koromantee Corkscrew Bitters, Colonic, and intestinal Cleanser. So if you are feeling bloated, suffering from gas, heartburn, digestive problems and carrying a big load under you belt and nothing seems to help try SUNDIAL Koromantee Bitters, Colonic and Intestinal Cleanser. The wash out for those on the run that don’t need the runs.